The process of trenchless pipe rehabilitation is one that only expert plumbers can master. However, even the best technicians will be unable to handle a job without the right equipment. If your company specializes in pipe rehabilitation and pipe lining systems, you want to be sure you are offering your customers the highest quality service. To do that, you need high quality products. The experts at PrimeLine Products are dedicated to providing your business with state-of-the-art equipment for every step of the pipe relining process. Before any work can be done, the old pipes must be cleared of any blockages or debris. We offer tools that will assist you in this important first step. Next, to access the interior of the pipe, a cut must be made as a point of entry. You can choose from our vast inventory of cutting tools to find a machine that fits your individual needs. Next, the liner must be set. Did you know that certain projects might require different lining tubes? Our product line is stocked with lining tubes made from the highest quality materials that are both durable and flexible. At the core of all trenchless sewer repairs is the new lining. PrimeLine carries the epoxy resin needed for your CIPP rehabilitations no matter the application. 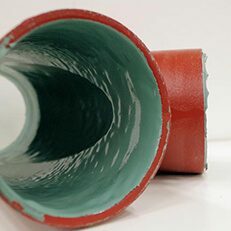 Known for its strength and impenetrable nature, epoxy is the industry standard for pipe lining systems for both residential and commercial projects. Aside from being purveyors of quality equipment for trenchless professionals, we pride ourselves on our ability to understand the needs and expectations of all of our customers thanks to our extensive background in trenchless technology. Contact us today to see how our company can help yours.